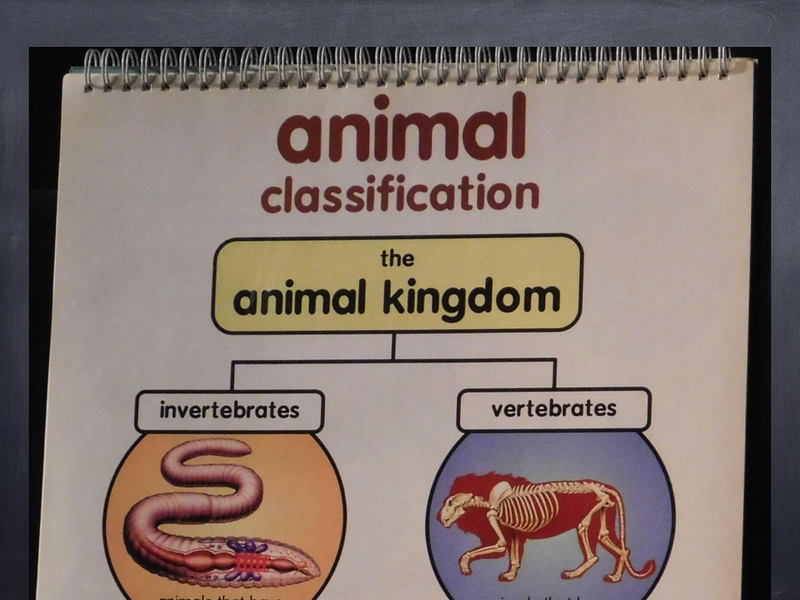 I hope you’re ready for Animal Classification! Welcome to the Episode 53 page of Ramping Up your English, where we’re learning about Animal Classification, plus a bit about saving unique habitats. How would you classify this animal? This warm-blooded animal has fur, gives live birth to its young, and produces milk for its cub to drink. It has a backbone and gets oxygen from the air it breaths with its lungs. It’s a mammal! To watch Episode 53 ad-free, click here. To watch by segment click on the desired segment below (segments are around 10 minutes each). I accidentally call this Segment 2 on the program, but don’t worry. It’s Segment 3. Click here to view the SOCKS segment on BONES. Use geographic information and a description to locate an area on a map. 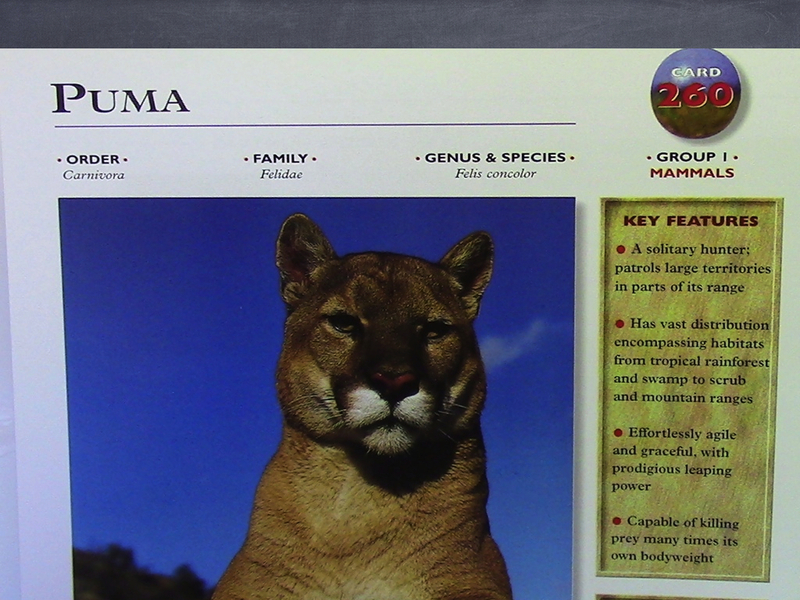 Locate an animals’s classification information using a resource. 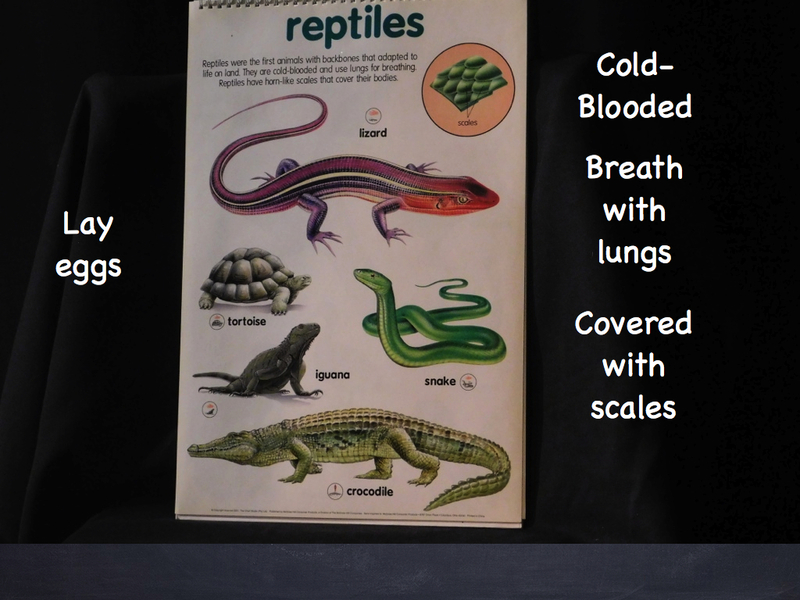 Use simple phases to present facts about an animal’s classification. Social Studies: Geography: Use a map’s key to locate information on a map of the United States. Name major geographic regions and locate them on a map of the United States. Science: Name the kingdoms and phylums living things. 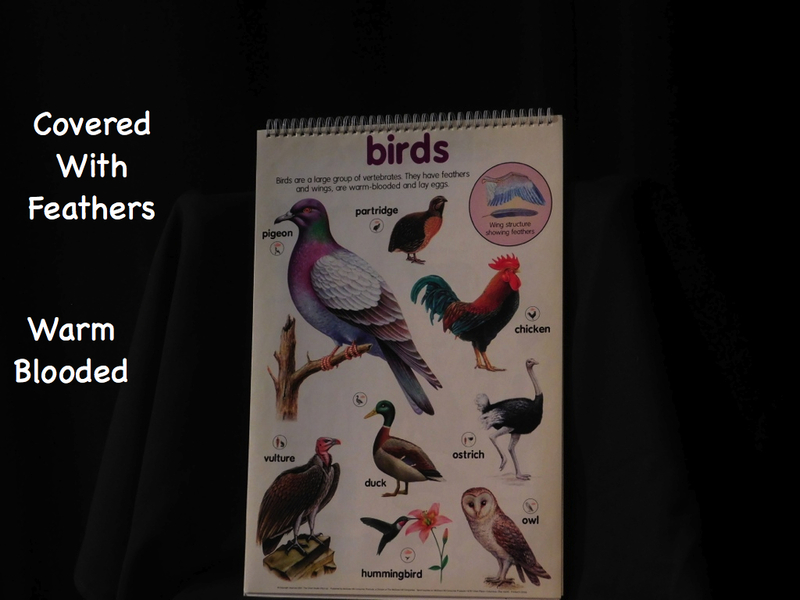 Identify the traits that separate animals into phylums. 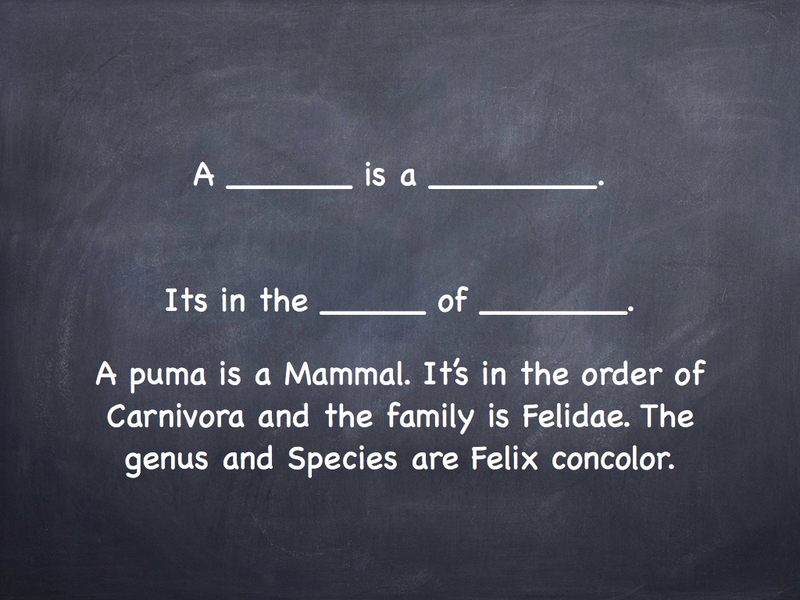 Name the orders of vertebrate animals. List the criteria by which vertebrates are classified into their respective orders. 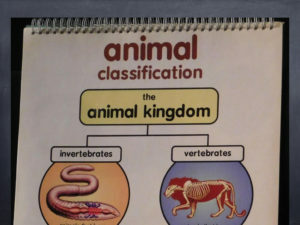 Utilize resources to find an animal’s classification, from kingdom to genus and species. Use accepted format to list the classification information of an animal. 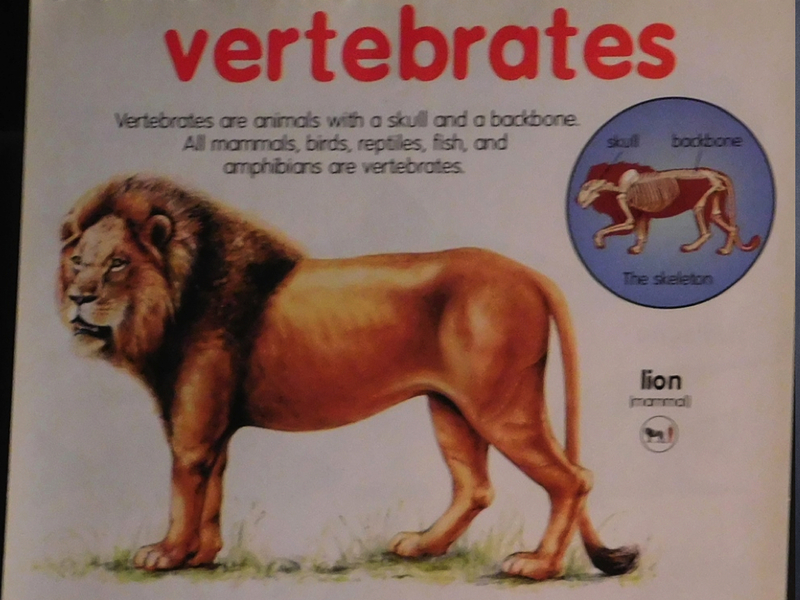 We viewed a video about one vertebrate order of animals – Mammals. We also featured a short from an RVTV program entitled Southern Oregon Classic Kids Show about bones. Notwithstanding that emphasis, we nonetheless delved into all the orders of vertebrates, and even into the phylum of invertebrates. 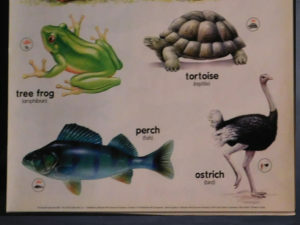 We quickly listed the characteristics of each vertebrate order using a chart from McGraw-Hill Children’s Publishing®. I then modeled the connecting words and phrases for reporting an animal’s classification. For a general report, the animal’s order will likely be sufficient. For a more formal report, I demonstrated how to find and report classification information down to the genus and species level. Click on a slide to enlarge it. Use your back navigation key to return to the Episode 53 page. English Learners doing an animal report are already in the Animal Kingdom. Now comes the big split. 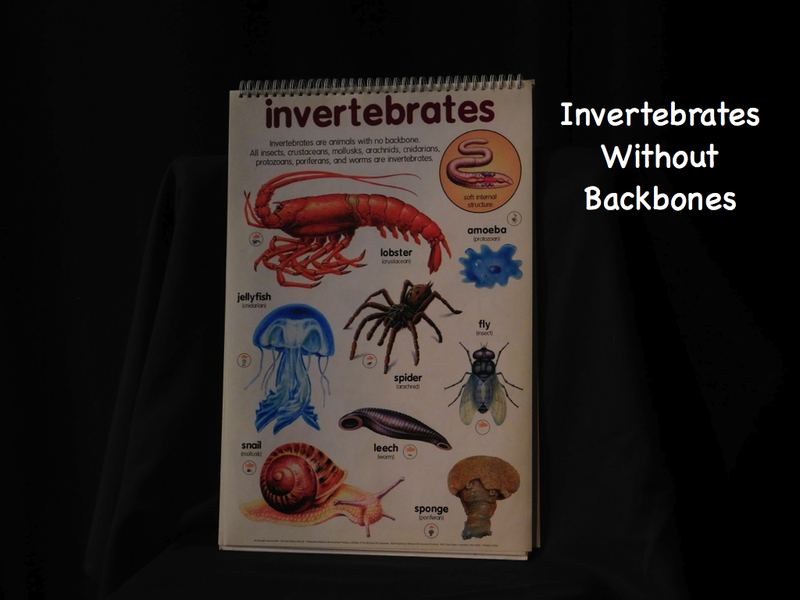 Is your animal a vertebrate or an invertebrate. If it has a backbone, it’s a vertebrate. A lion is an example of a vertebrate. It has a backbone. 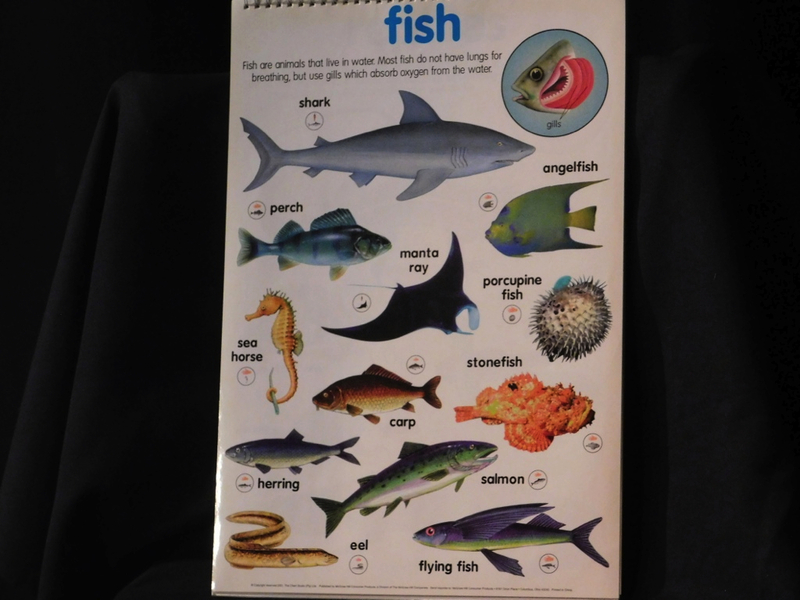 Every Animal in this group is a vertebrate, but then they’re grouped according to other characteristics. One of those groups we call fish. Fish are cold-blooded, covered with scales, and have backbones. They also have gills which allow them to get oxygen directly from the water. They never have to come out of the water to breath. 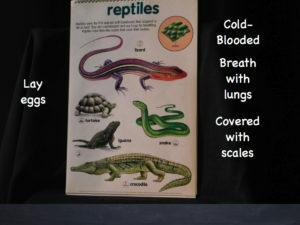 Reptiles are also cold-blooded and covered with scales, but they can’t get oxygen from the water. They must get it from the air using lungs. Birds are warm-blooded. Like reptiles and fish, they lay eggs to reproduce, but they’re covered with feathers -not scales – and like reptiles, they breath air through lungs. Mammals are a lot like birds. 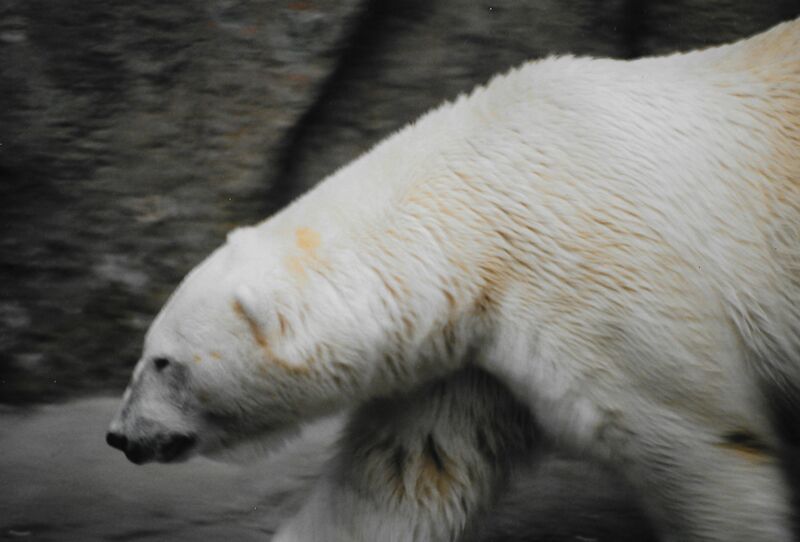 They’re warm-blooded, most are very involved in raising their young, and they breath air with lungs. 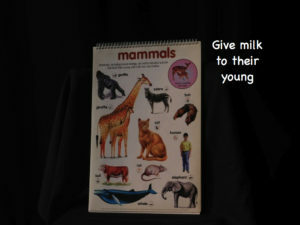 However, mammals are covered with fur or hair – not feathers – and they’re the only group that gives milk to their young. They also give live birth. 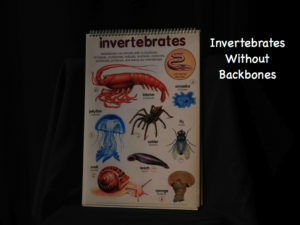 Many animals lack backbones. 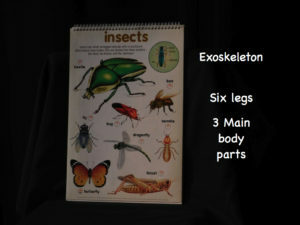 As you can see on this chart, there’s a great amount of diversity when it comes to invertebrates. What they all have in common is no backbone. Perhaps the best-known invertebrates are the insects. These animals have bodies that are in three sections. 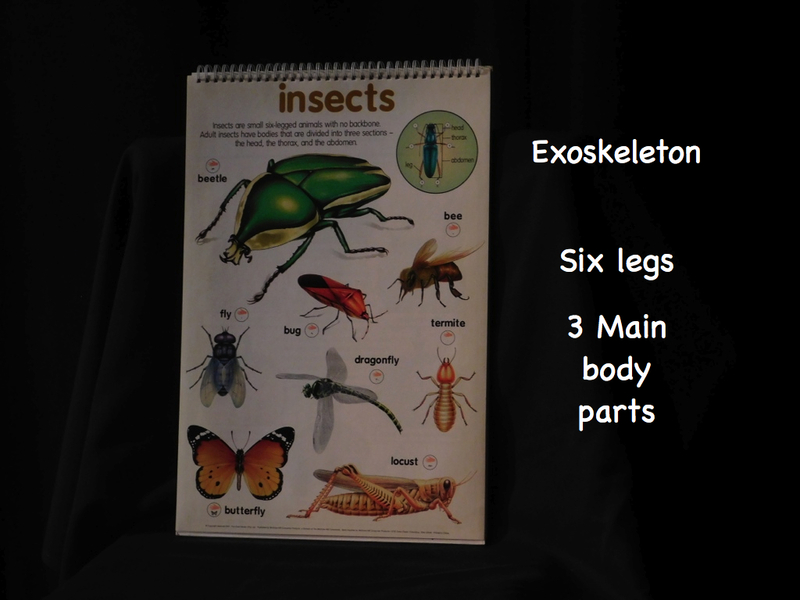 They also have six legs as well as exoskeletons. Classification information is found at the top of the wildlife Explorer (Registered Trademark) cards, beginning with Order. Reporting an animal’s classification is easy. Use one of these forms. 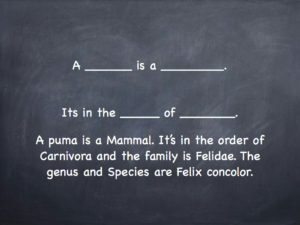 An example is given on the Puma. More academic-oriented reports may require all this classification information. Episode 54 is a real HOWL! Click here to view the Episode 54 page. 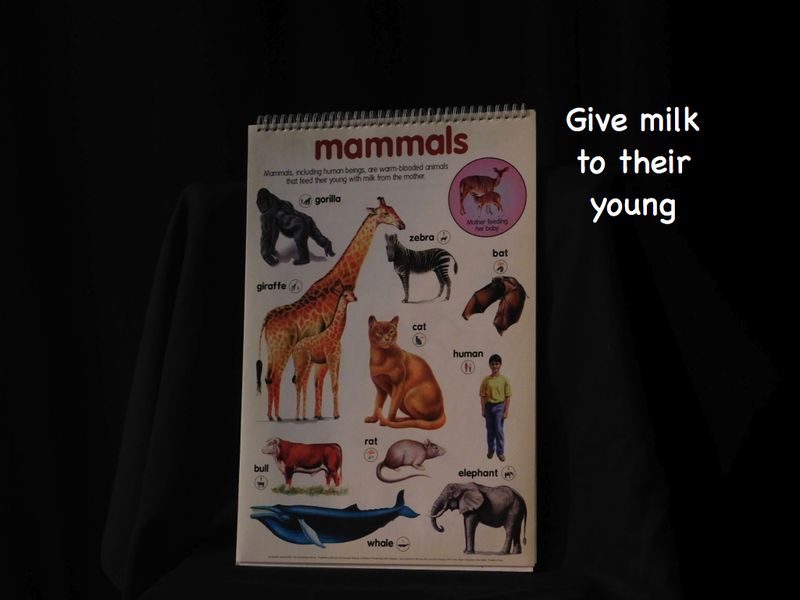 To watch the video on Mammals, click here. In our next episode, we feature a mammal that has a close but troubled relationship to humans. Click here to visit the Episode 54 page. For an ad-free viewing experience, click here.